Thanks so much for the classes, it was a great way for a busy mom to have some ‘me time’ while also working out all those aches & pains associated with pregnancy. I’m hoping we’ll see you soon in baby yoga/massage. Now for my birth story…. I had been experiencing braxton hicks contractions from around 25 weeks. In recent weeks though these became painful & more like real contractions. At 36 weeks I went into hospital for observation after having regular contractions (about 10 minutes apart) for about 8 hours. These contractions petered off and I was sent home with instructions to return if they got worse. At 37 weeks I went into the GP for a routine check up and mentioned that I was still getting contractions although they were irregular. She sent me into hospital to be checked out again. The hospital decided to keep me overnight for observation even though contractions were not regular. At 10:30pm that night I started getting painful contractions that were suddenly only 3-4 minutes apart! After monitoring the contractions and an assessment by the obstetrician it was decided that I had to have an emergency section due to my history. When a decision is made to go ahead with an emergency section the clock starts ticking and there is no waiting around. The decision was made at at 11:55pm and I was in theatre at 12:10am getting prepped. Although I rang my husband straight away once we knew we were going ahead he still had to drive down from Carlow! I was lying in theatre with the team working away & opening me up with no sign of him, I was near tears at he thought of him missing the baby’s birth. Then just as the baby was coming out he was rushed into theatre. Just in time to see our baby girl being born😊💞. I was fully expecting another little boy (which I would’ve been delighted with! 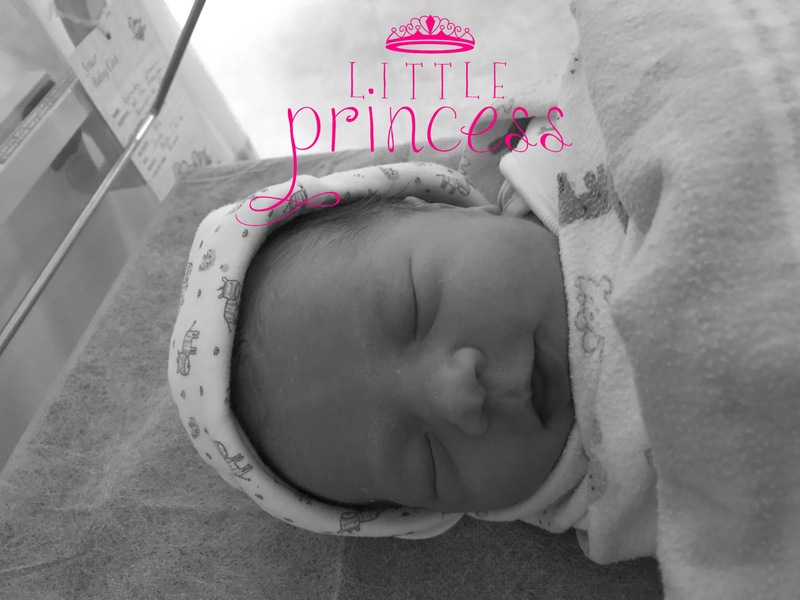 ), but it added to the special moment to welcome a little lady to our family! While I was being attended to Colin got to spend the time having skin to skin with Molly. Although I would’ve liked to be able to do this myself I think it makes for a very special bond with Daddy’s if they get the chance! 1. Share all your feelings/symptoms with your care team no matter how small they may seem. The team are best placed to assess if they are significant or not and can make the best decision for your care. I nearly didn’t mention my ongoing contractions to the GP as I figured I just had to accept that they were there and get on with things! 2. Listen to your body! I hadn’t been feeling quite right for a couple of weeks, but just kept dismissing it thinking I was being paranoid. It wouldn’t have changed the outcome, but I had but I might have been slightly more prepared mentally! 3. If there is even a slight chance of things progressing and your partner isn’t there, get them to come in regardless. I held off ringing as I didn’t want to disrupt his sleep for no reason but I would’ve forever regretted that decision had he not made it in time! 4. I know I don’t need to say this, but it is the best part……. enjoy your snuggles!! Posted in pregnancy and tagged birth story, c section, pregnancy yoga carlow, yoga carlow.